It can make you see green. Whether your go-to is a side profile shot, you love the traditional head-on approach or you prefer spicing it up with some definitely-not-staged candids, taking selfies is part of social media culture. Though self-love is undoutedly important, studies have shown that there are negative effects of taking selfies. For one, it can impact the way you perceive yourself, damaging your mental health in a way that may even trigger depression and Body Dysmorphic Disorder. This is amplified when we use "beautifying selfie apps," to edit photos, one licensed clinical social worker told Teen Vogue. As psychologist Dr. Linda Papadopoulos explained, "what we see with selfie culture is the editing and re-editing of identity.'" And that is a dangerous game to play. Actually, it’s proven that taking seflies can distort your face — your nose looks bigger in these pictures, according to researchers from Rutgers University. 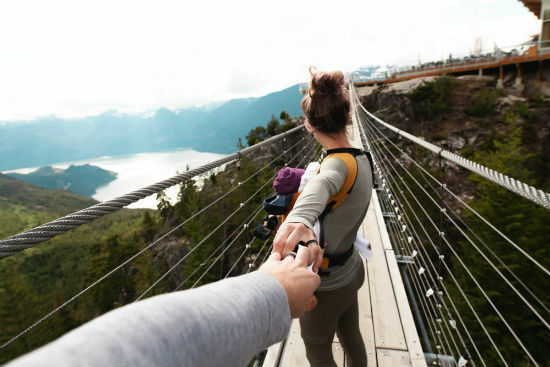 Some experts say that, overall, social media can negatively affect your love life because, with the constant pressure to publicize your relationship, you're spending less genuine time making memories. No matter what's going on off camera, you're more concerned with how you two look online. ...that may be a problem. And now, research published in Telematics and Information suggests that the specific act of taking selfies can have a negative impact on your relationship by evoking jealousy and creating tention between you and your partner. Researchers from Boston University and Chile conducted two online surveys, which were completed by 305 Chilean adults over a two-year period. According to the study, the validation that you — the selfie-taker and poster — get from others can potentially make you less satisfied with your significant other. 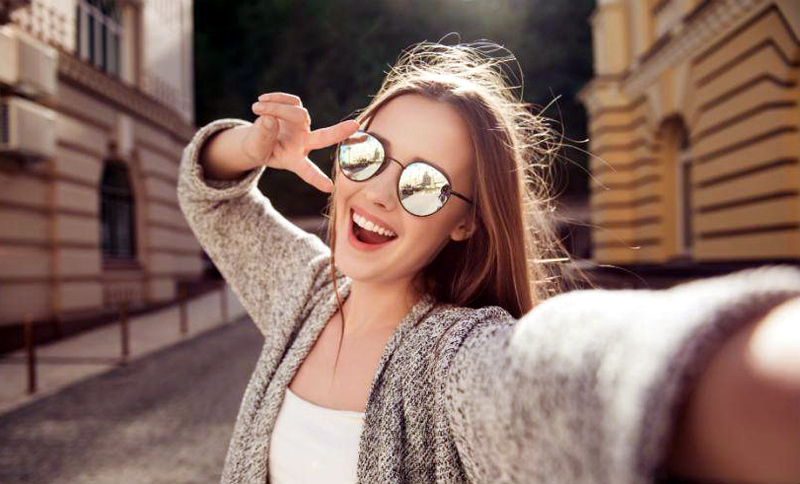 "By sharing flattering images of oneself, an online ideal persona is created in the picture-taker’s mind that diverges from real-life," the selfie study explains. And, as LiveStrong relates, the "false validation" that comes from these photos can lead you to belive that you have more romantic options than the person you’re with. Results from this selfie study also found that the more photos someone posted, the more jealous their partner became. Jealousy, in turn, makes people quick to question motivations: are they seeking someone else? This is an example of "storytelling syndrome," a concept that founder of eFlirt dating site Laurie Davis Edwards broke down for The New York Times last year. "Storytelling syndrome," she explained, is "when you draw conclusions to decipher what’s happening without first-hand knowledge." This can escalate quickly and lead to assumptions, which can create a domino effect of conflict. If you or your partner is seeing green, the important thing is to keep open communication and ask why. At the end of the day, a selfie is a selfie — remember that. It may be what's triggering jealousy, but it's not the true cause (dig deeper and you'll see). When I asked my boyfriend how he felt, he didn’t see a problem with me taking selfies and sharing them on social media. In fact, his exact words were, "I genuinely don’t care." Let's say I uploaded a selfie as my Facebook profile picture. My boyfriend claims that he doesn’t pay attention to the likes I get. Better yet, he doesn't see it as bothersome if I do get attention from said selfie. And that, my friends, is a true keeper.